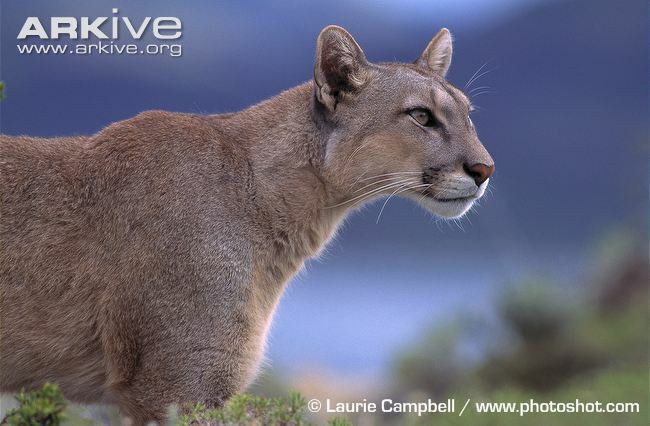 The adaptable Puma (Puma concolor) is also known as the Cougar, Mountain Lion and Panther among many other names. 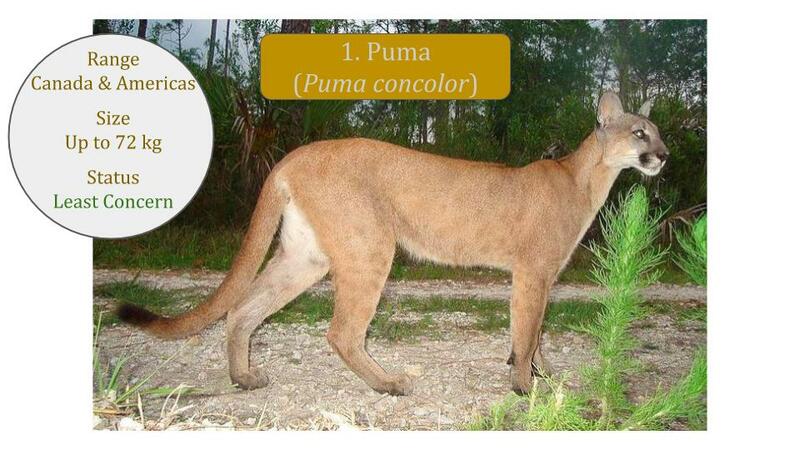 Pumas are widespread from Canada through North and Central America to South America, but have disappeared from many regions within this vast range due to persecution. 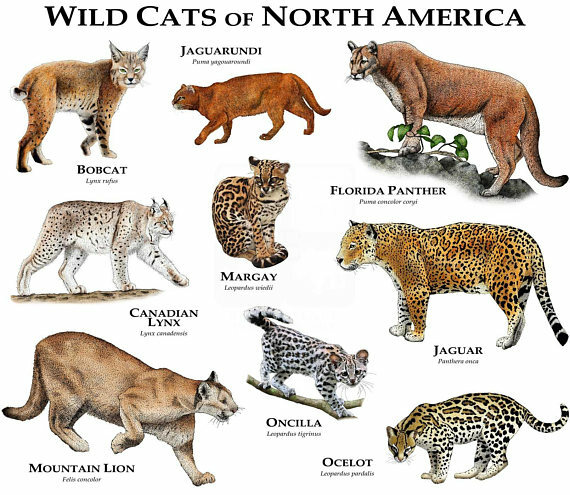 Based on recent genetic studies used in the latest taxonomic revision of Felidae. 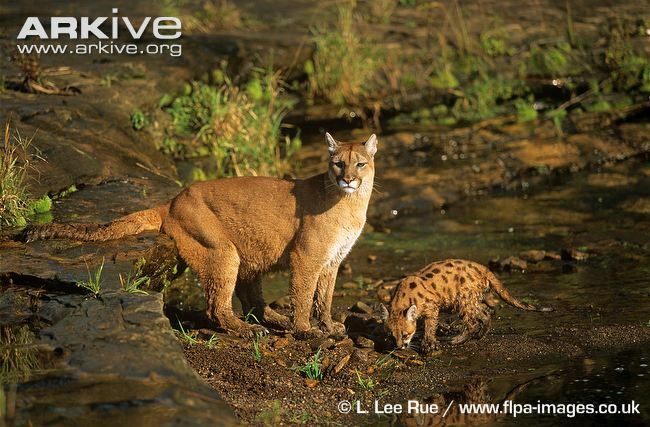 The following organizations are actively protecting the declining populations of Pumas. 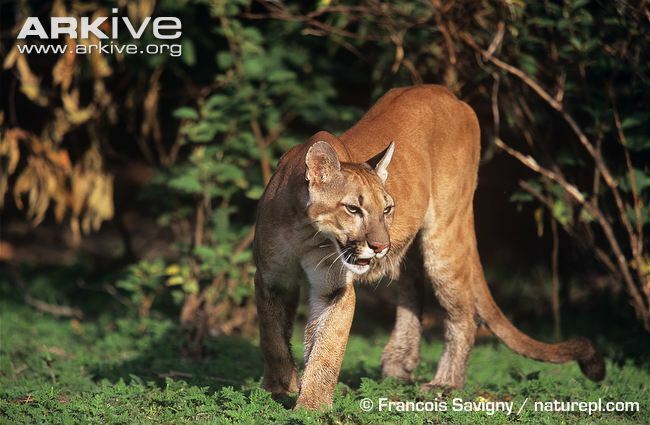 Projects include facilitating recolonization and dealing with new threats of road barriers and roadkill in built up areas in North America. Most of these books have Kindle Editions.